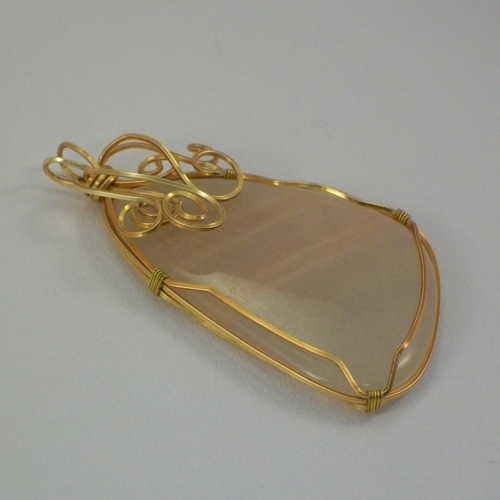 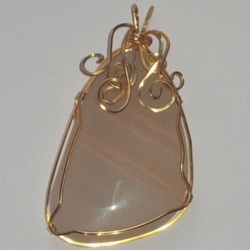 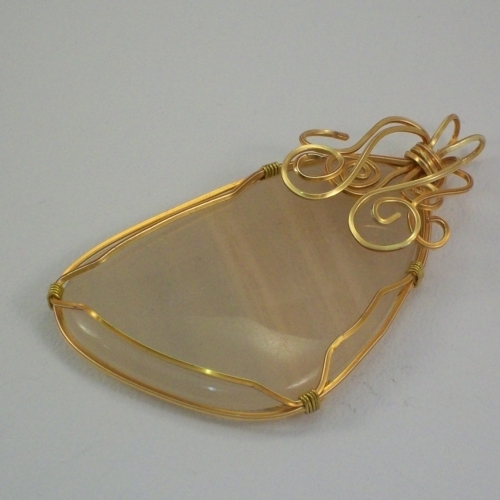 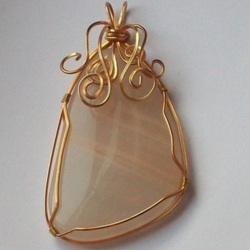 Eyecatching wire wrapped aventurine pendant. The gilt wire brings out the soft pink tones and stripes across the width. The pendant is finished with wire spirals for added detail. 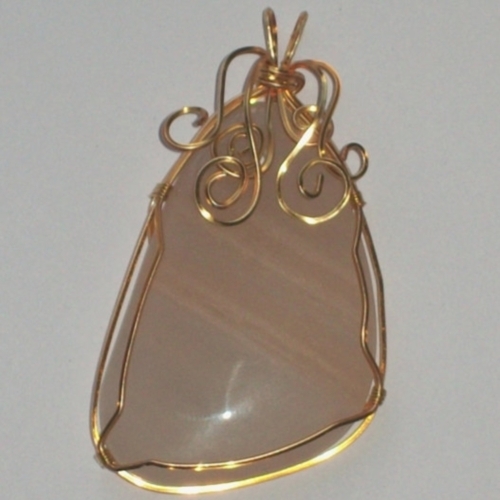 The pendant is 7cm in length and 4cm wide.